NEED A/C or Heat Repair? New technician Jamie did a great job winterizing our coolers for us and turning on our furnace. He took the time to answer our questions, was very punctual with the appointment time, and dealt with the inevitable issues which came up cheerfully. Hopefully he will have a long tenure with Best By Farr and we can count on him to keep our coolers well maintained throughout the cooling season. 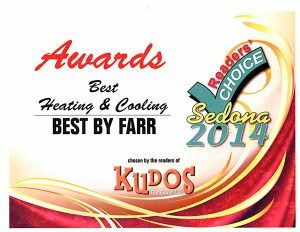 Best By Farr is by far the best HVAC team in Sedona! Our AC went out on one of the hottest days of the year and a Saturday to boot. I called the emergency number and someone called right back, she explained how they were swamped with calls to take care of but would see us by noon the next day. Travis was here at 11:00 the next day and has us up and running in no time. 3 days later I had Best By Farr come and take a look at one of my clients new home HVAC ( we are Realtors ) and it was Travis again, he took care of explaining the system to my clients and it was a great learning experience for all. Thanks Best By Farr! Nic and the team at Best by Farr are above and beyond the ordinary. Sending thanks to everyone involved with this exemplary business with high standards of achievement. Thank you for raising the bar on excellence. Keep it up! The gentlemen at Best By Farr are quite professional and very responsive. They responded to all my questions and guided me toward the selection of a heat pump system that best met my needs. I highly recommend this service for your heating and cooling needs. 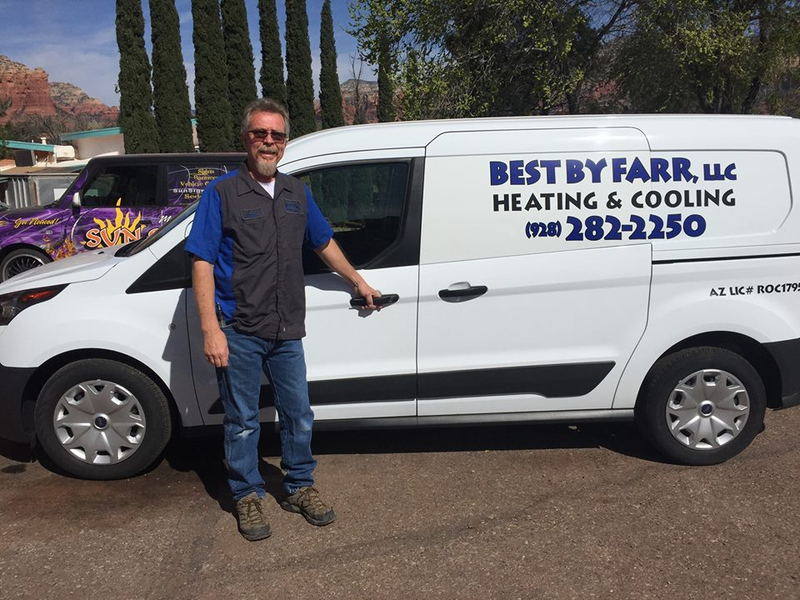 Having just relocated to the Sedona area, and being new to swamp coolers, we were delighted with the service we received from Best by Farr. Dave Farr personally stopped by to inform us and provide tips on how to operate and the get the most from our recently installed cooler. He was extremely knowledgeable, patient and courteous and we highly recommend Best by Farr based on our experience. What is a dual-fuel system? A dual-fuel system incorporates both a heat pump and a gas fired unit into one machine. During normal operation, the unit will run in its heat pump mode. This means that it will take the BTU’s from the outside air and transfer them via the indoor coil into the home. This operation will take place between a set range of temperatures. Is there a difference when it comes to thermostats?? A Yes. Thermostats can offer a variety of different options. Just about all thermostats are electronic these days. This allows a lot of different combinations among them. They can be a simple thermostat that only moves the temperature up and down or they can come fully programmable. What is the difference between a split-system and a package unit? The main difference between a split-system and a package unit is that a package unit has both the heating and the cooling operations in one unit. This means that there is only one unit to be installed and there are no refrigerant lines that need to be run. How often should my AC/Furnace serviced? 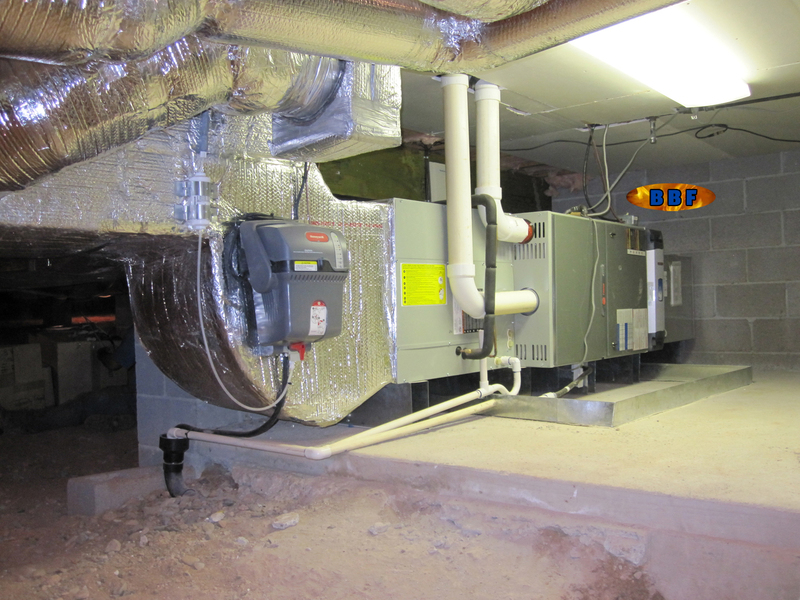 Air conditioners and furnaces are just like any other piece of equipment. They have moving parts and parts that are meant to wear out. It is a good idea to have your unit serviced at least once a year. Air conditioners have capacitors in them. A capacitor is basically a battery.